In increasingly competitive markets, it is critical for health systems to retain patients in-network. And, while a study of 100 PCPs showed that 85% say network retention is important, they don’t always refer in-network. The top reason why? Perceived lack of clinical expertise in the network. 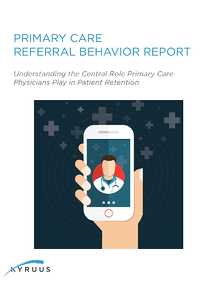 Access this report to learn more about how PCPs decide whether to make an in-network referral and how health systems can enable better referral management. Plus, find out what fraction of PCPs say they always comply with in-network referral requirements.